I was thinking it would be nice to have a small indicator dot beside dragons to indicate if they're CB. Maybe a solid/filled in dot if CB, and an empty dot for a bred dragon. I'd imagine that it would be present on the main scroll/groups, and the breeding select page. 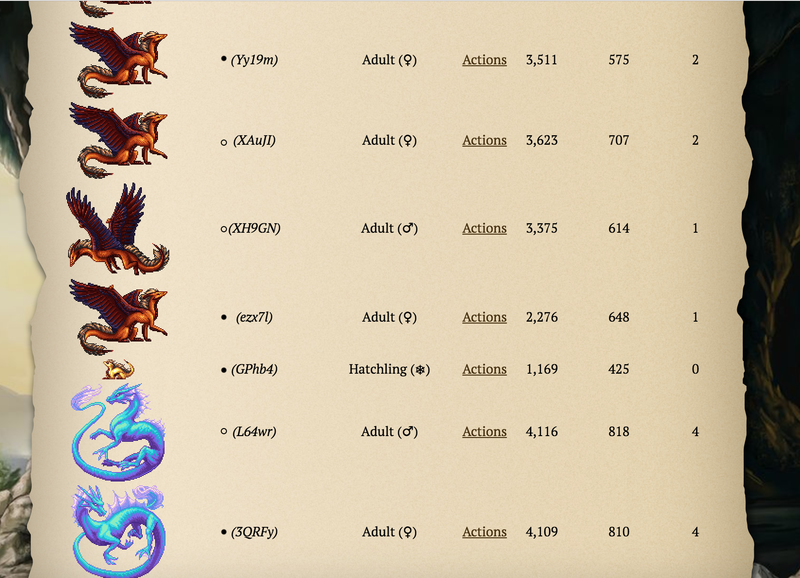 I think it would help avoid multi tab management when I'm trying to search for a CB Dragon (or search for a particular bred dragon) through my scroll, as I find it can get confusing and overwhelming sometimes. I would love some kind of CB indicator, maybe right next to the gender symbol? I always have to click click click to find my CBs, too. I'd like it as either an extra row, or next to the gender/frozen symbol. 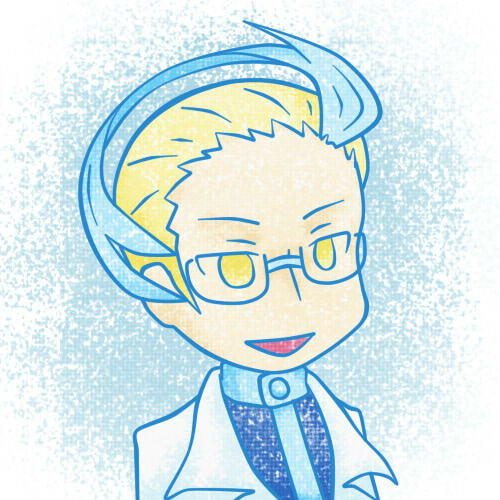 Not part of the sprite as an overlay (not sure if that's what @High Lord November means). Would love way more info on our scrolls! Some kind of small, non-disruptive but noticeable indicator for CBs would be fantastic! I definitely support this! I would love this. Full support from me. Yes please! It would make breeding so much easier for me. Or, maybe, instead of a mere CB indicator, indicate the generation of the dragon with a simple number? I mean, it's nice to know what's CB and what isn't, but if you're looking for a mate for your 4th gen holiday checker, you're probably going to look for 4th gens, not any other generation. HLN, That looks great and very subtle! Brill. idea! So simple and it would be immensely helpful. It'll be visible even if dragons are named, right? Can you do a mock of one named dragon to see how that looks, or is that too much of a pain? Maybe. And TJ can still disagree with it. Still, I think it would be useful, so I suggested it. After all, it's only expanding the already suggested feature. It would also help with making it less "discriminating" in favor of CBs, as with a generation counter, you'll get a number for everything - and not just a dot for CB. I don't know how generations work when one parent is CB and the other has 5 gens with it (is it just the highest number?) You could probably have a filled in dot for CB and a number indicator in its place for non-CB dragons! The mockup works for names too, you can see Noyvern in the second picture. I don't have any long names though so I can't comment on that! It would probably just sit in front of the name though. Once again, marking inbreds as such would be kind of discriminating against those, as if there was something wrong with it. Which it isn't. The same could be said for CB/non-CB, where some dragons get a special marker - as if there was something special about CB dragons. I figure for me to go through and mark down every CB vs. non-CB I have with a corresponding name, is a huge undertaking. But to name particular dragons in a breeding project is a bit less intensive as breeding projects already need to be documented and planned. All gen 5s are not created equal -- just sayin'. While it might be somewhat helpful to have the generation indicated, it still would not tell you if it was a stair, a carefully planned even gen, or a total mess. 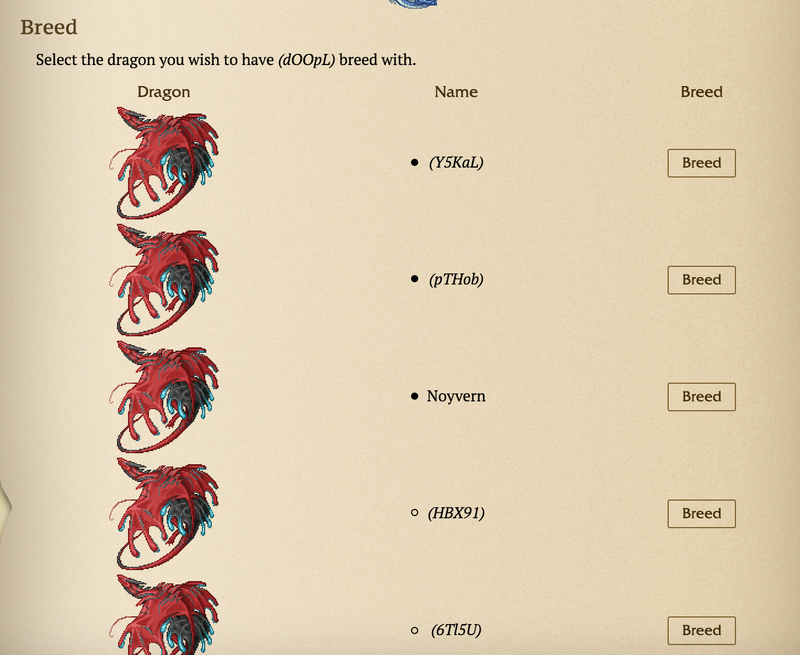 I have some of each on my scroll and which one a dragon is makes a great deal of difference in breeding. So I don't really see a generation marker as being terribly helpful. A small dot for CB's as shown in the mock-up would be okay, but I wouldn't support anything beyond that. As @HeatherMarie has pointed out, generations are not always consistently accurate anyway.